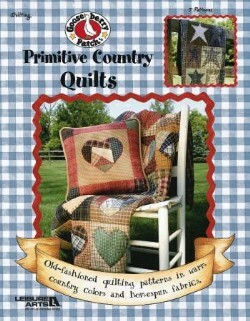 Old-fashioned country style patterns in warm country colors and homespun fabrics. Create a rustic Garden Path quilt and table runner. Or a Crazy Hearts quilt and pillow made of snippets from your sewing box. Leaflet - 28 pages by Leisure Arts.